Established over 21 years ago as a specialist supplier of press room and finishing equipment, our equipment is sourced from a variety of countries around the world. We choose suppliers that support us, and therefore in turn our customers requirements. Some of the machines we bring in are tailored to suit local conditions and expectations. We often bring in machines that are not mainstream products, for example 2.6m wide die cutters and guillotines, computer driven forme making equipment etc. Our customers know that even if it’s the only unit in Australia they will get a turn key installation and support that is second to none. Box maker / printer. No Die Forme and no plates. Tool less and no previous box making skill required. High speed Smooth series, die-cutters and folding box gluers. For more information, call us today on 0477 200 854. We offer the highest quality – cheapest prices – The most knowledgeable friendly staff in our industry & fastest turn around times with dispatch times guaranteed or the order is FREE! We answer all your questions and quote you super fast with a personalised quote to ensure you are quoted on the correct product with no hidden costs. For urgent orders Gecko Sticker Signage has you covered. 24Hr next day dispatch service along with overnight express postage means you don’t need to miss deadlines. T’s & C’s apply. Need some basic artwork done? Gecko Sticker Signage offers Free Basic Artwork service. T’s & C’s apply. Dockets & Forms Australia is one of Australia’s leading carbonless paper printing specialists. We’ve focused our business on being the Number One carbonless book supplier for our trade customers. 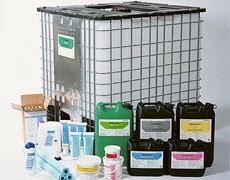 In order to provide the best services and products, we’ve invested heavily on staff training, computer systems as well as prepress, production, finishing and packaging equipment. We are also able to deliver the most competitive prices with our highly efficient workflows and our large NCR paper buying powe r.
Allkotes has helped enhance design for over 30 years. We can show you that there are no limitations or boundaries when your printed artwork is styled with the various finishing touches Allkotes has to offer. Your printed design is worth protecting. At Allkotes, that is our life’s work. We want you to feel comfortable in the fact that you are in good hands when it comes to protecting what’s important to you and us. Impress your customers with your printed design, and let us add that extra quality which will delight your customers. Print Finishing with our Special Effects and Finishes is how you will achieve that perfect result. The latest advancement in 3D technology has arrived and Allkotes 3D Optix lens technology is here to deliver. The CMYK printing process is no different to your current offset printing methods. The mystique of Allkotes 3D Optix empowers your creative thoughts by creating and highlighting a 3D shape or pattern in the background. It doesn’t stop there, 3D Optix can also provide a colour shift or flip. 3D Optix is available for either one or two sides. But remember to contact our Allkotes team at the design stage. Welcome to the creative world of Allkotes. Our Special Effects, Laminations & Coatings have provided innovation to the printing industry for over 30 years. The introduction of our Allkotes App plus understanding of what Special Effects, Laminations and Coatings are on offer will provide you with tips and ideas for your next printed project. Discover and learn what eye catching finishing techniques are available!! The power and knowledge of knowing you have over 50 different finishes plus a myriad of combinations will make your next project stand out from the crowd. The Allkotes App is available on both Google Play and Apple Store. We are proud of our range of specialty products, which push the boundaries for printed special effects. For example, apply water on our latest release, WetKote, and watch the top layer disappear to temporarily reveal another image beneath. We have other innovative products, including ChalkKote, FaceKote, GlowKote, ThermoKote and ScentKote. Micromotion is a unique screen-printed finish that renders tactile and lustrous patterns. When viewed at a changing angle, light is reflected causing subtle changes in colour and pattern, that create the illusion of motion. We have an extensive library of patterns to choose from that can be used on their own or in combination to create a create a truly special piece. Micromotion is most impressive when used on top of our laminations or metalised films. Laminations are ultra thin films that can be applied to almost any paper or board to provide a range of different finishes. A lamination covers the whole side or sides of a document. Our range of laminations include PlastaKote, a traditional gloss finish; MatteKote, a matte finish; and our environmental films, EcoKote and BioKote, which are available in gloss, matte or silk. We have specialty laminations such as TouchKote, which gives a page a silky velvet quality; ToughKote, a scuff resistant matte finish; as well as Soft Black and Soft Metal, which are both metallised films. We also offer KeyKote, a film laminate specially designed for gluing and foil stamping on. Spot Coatings are varnishes that can be applied to specific areas of your design to emphasise key elements of your work with physicality. Our spot coatings are often used in conjunction with our other laminations and films. Our offerings include SpotKote Gloss and SpotKote Matte, the raised effect of UltraKote, or the sandy textured feel of BubbleKote. We have a range of GlitterKote colours, LinenKote in matte and gloss for a fabric-like feel, and ScratchKote for scratch-and-reveal. Mirrafilm Products are laminations with a reflective metallic finish. Our metallised films include our highly popular ReflectaKote, available in Gold, Silver, Matte Gold, Matte Silver, and a range of colours, as well as MirraKote, a more mirrored version of ReflectaKote. We also offer BrushKote which has a brushed metal effect, and Holographic Film which comes in a vast range of patterns including Rainbow, Stars, Pillars, Haze, Cosmos, Vector and Shards. 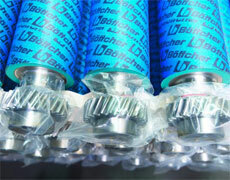 Foil stamping is the application of a pigment or metallic foil to paper in a particular design. Embossing is the process of producing raised or sunken designs into a sheet of paper. It is available in various forms and heights, whether it’s a sculptured emboss, or a multi-level emboss. Foil stamping and embossing have always gone hand in hand with laminating and coating. FoilKote and Embossing are oft-used for book covers, dust jackets, packaging and point of sale. Holographic foil has an iridescent quality, and is often used for anti-counterfeit applications. A combination of MatteKote, SpotKote, FoilKote and Embossing is much sought after. Encapsulations are types of films that cover both sides of a printed sheet, with a sealed edge. KlearKote is smooth, and available in a variety of thicknesses, and in both gloss and matte. It is ideal for prestige point of sale, menus, posters, photographs and pages of text that will be handled and need protection. It is an economically viable alternative to printing on plastic. RigidKote turns ordinary paper into rigid, plastic and non-reflective products that can be bent into stand-ups, A frames, mobiles or even foamed for non-slip counter mats. It is tough and strong, and has a more textured surface. 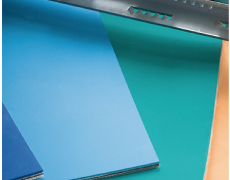 It’s a price-effective option when heavy-duty protective lamination is important.